There has been a change in the villain of 'Maatraan'! 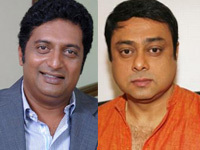 Prakash Raj, Indian cinema's favourite villain has been dropped out of the film and Sachin Khedekar has been roped in to replace him! "Prakash Raj committed very few days for Maatraan as he was busy shuttling between various projects. Not only that, whenever he came to the sets, the team had to spend too much time on his make up and other issues which is not even required", says a little birdie close to the 'Maatraan' team. And hence he was dropped out of the project, and Sachin Khedekar whom we saw as Amala Paul's father in much-acclaimed 'Deiva Thirumagal' will play 'Maatraan's baddie. 'Maatraan' featuring Surya and Kajal Aggarwal in the lead roles is a KV Anand offering and the film is taking shape at a brisk pace. 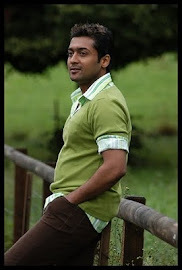 It is said that audience will get to see a younger Surya through this film and he might also be seen in multiple avatars.